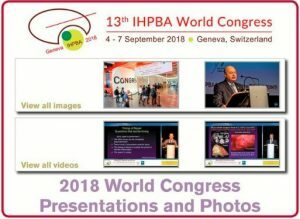 The presentations and photographs from the 2018 IHPBA World Congress in Geneva are now available. Members can view the full library on myHPB. There are also a selection of videos which are free to view on our featured content page. For more information regarding submitting a bid to host the E-AHPBA Biennial Congress including important deadlines please download the E-AHPBA 2023 Bid Manual and Congress Procedures and E-AHPBA Biennial Congress Budget Template. The deadline for applications is Friday 1st March 2019. We look forward to receiving potential bids and should you have any questions please do not hesitate to contact us via carol@eahpba.org.